Had 10 hours sleep. Lovely. Melon and banana for breakfast and we just about made it out the door for 11.15. Train Lag eh? 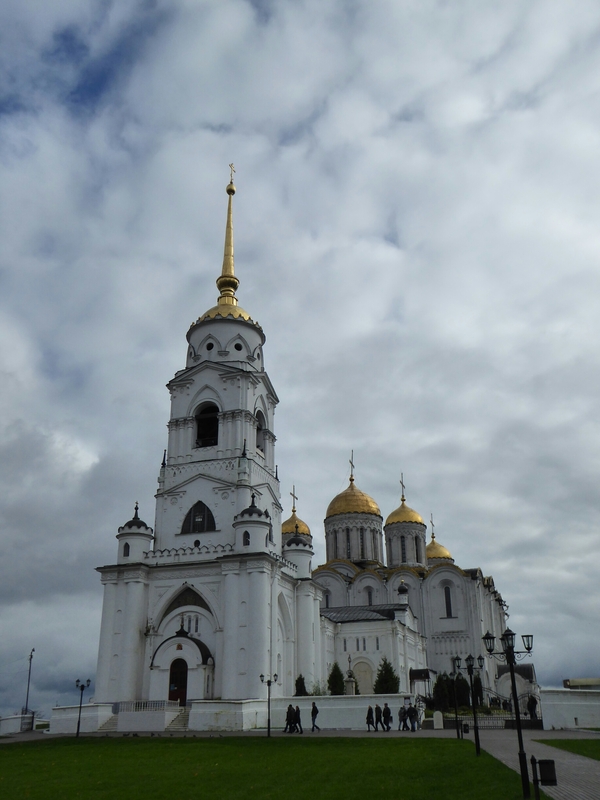 It was cold, wet and overcast, perfect day for museums so off we went to the biggest collection of art in the Urals, and it was really quite good! And as a bonus it was all in English apart from a special exhibition so that was even better. 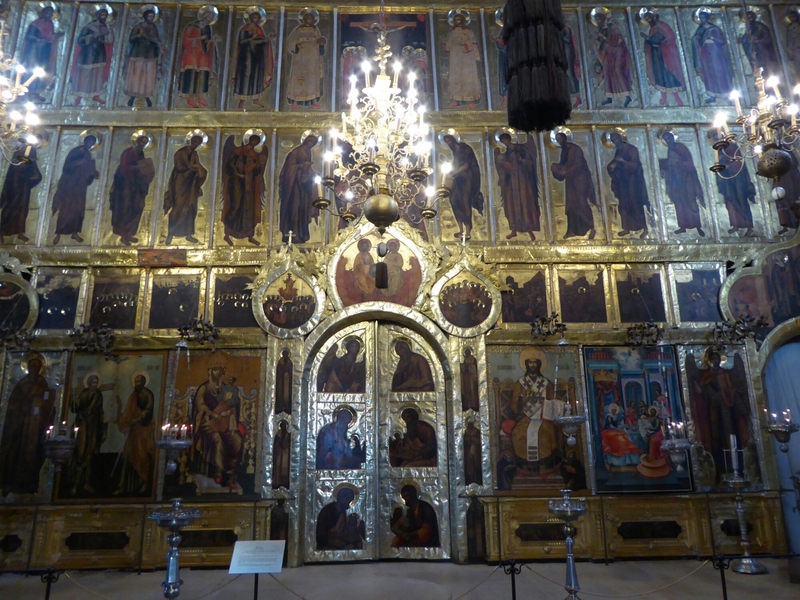 It explained a lot about Russian art through the ages and all about the metal working and semi precious stone mining that is so prevelant in this area. 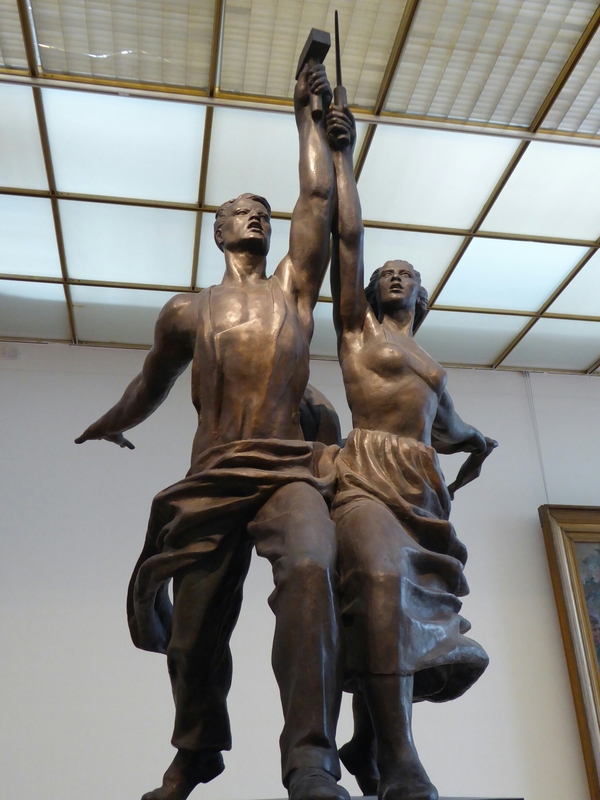 The only part which wasn’t explained was some 1930’s industrial Soviet Realism art exhibition which looked really interesting with a gold wedding ring in the middle engraved with something. Then lunch which we had out at another Georgian restaurant, a bit posh but the food is sooo lovely, lots of pkhali (made out of spinach, beetroot and nuts), cheese pizza, aubergine walnut rolls, vine leaves stuffed with spicy lamb and lamb in white wine with tarragon which was one of the best things we have had, so good in fact that we forgot to photograph it until we had nearly finished it. 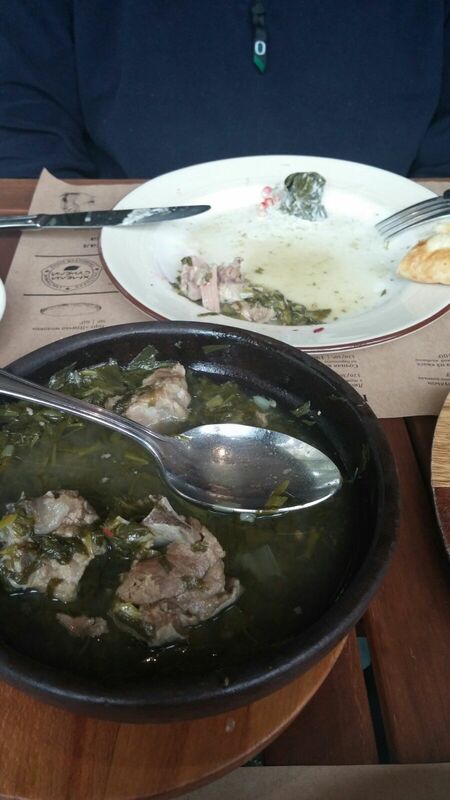 I would heartily recommend Georgian food as it is healthy, really tasty and full of herbs and spices that we use everyday but they are used in a way that you wouldn’t normally think of using them. 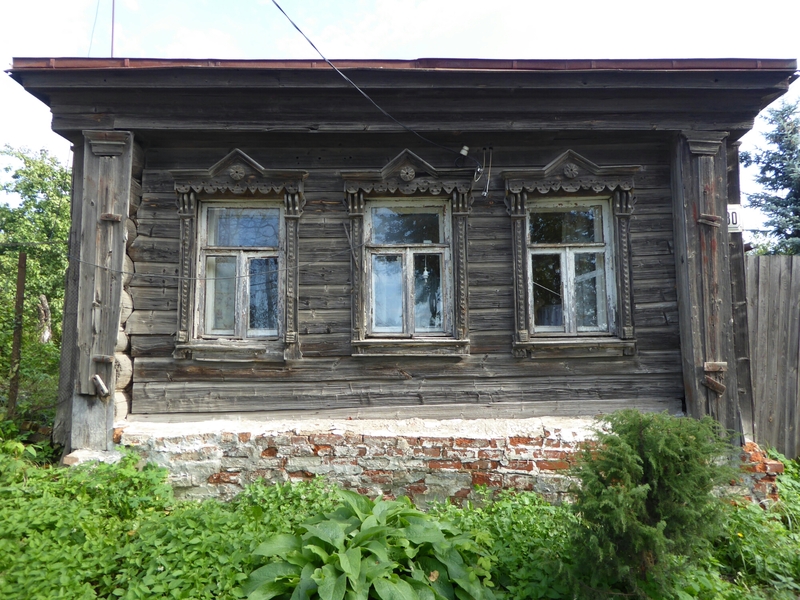 The we were off to a photography museum, Menetov House, which we knew would be in Russian but it said it showed photographs from early 20th century Russia which should be self explanatory. 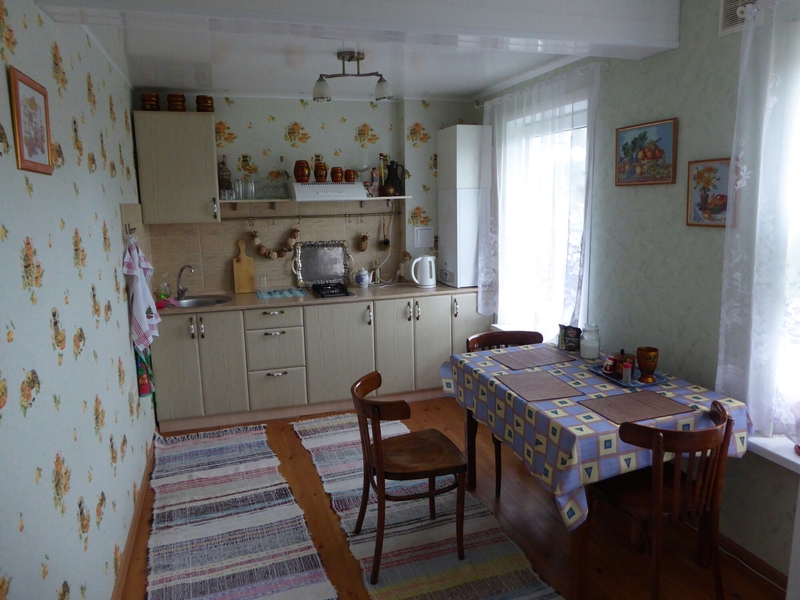 We walked into he wrong room to start with, asked a woman in a shop for the Kacca (Russian for ticket office) she wearily responded it was upstairs. On entering the exhibition there was no English but there seemed to be an exhibition of indigenous Siberian landscapes and people photos which was interesting even if we didn’t have a clue about what it was. However after about 10 minutes a young lass burst into the room, introduced herself as Sasha and in halting English started to explain the exhibition and the meanings behind some of the photos, her English seemed to get better as she went along and we got a real understanding about the 3 rooms of photographs and other slightly more surreal parts of the exhibition, eg on Yuri Gugarin who died in a plane crash near here, Gary Powers and the U2 incident (nothing to do with Bono) in the late 60’s. We also met the director of the museum who had spent time in England, London, Manchester and Liverpool so we had a chat with her. We found out that they had both been involved with the 1930’s exhibition we saw earlier in the day and explained it all to us, the centre piece being that ring, shaped like a wedding ring with industry engraved on it to symbolise the feeling in the 1930’s that everyone felt they were married to work, 5 year plans and not another person. 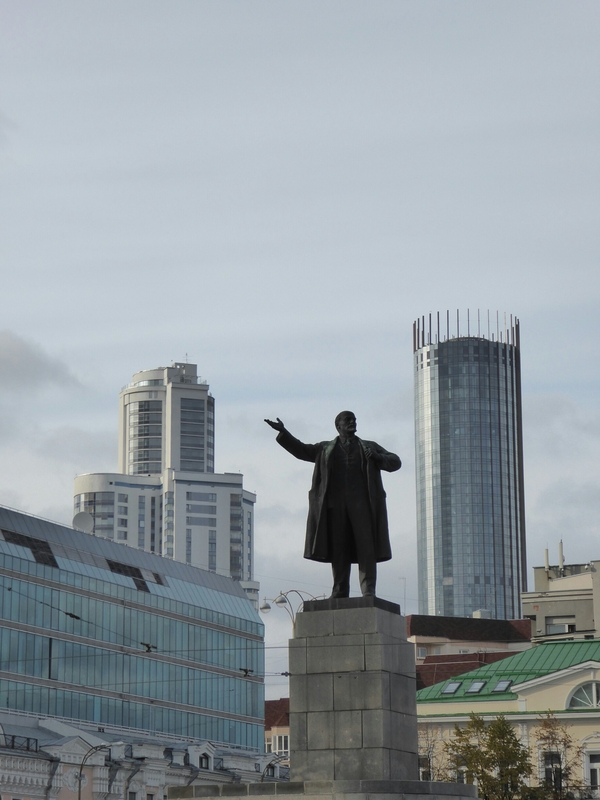 It was a lovely couple of hours spent learning about the museum and Ekaterinburg. Back out into the cold and darkening skies and we wandered back to our hostel picking up some pickled herring to go with our salad for tea. We both really like this city, it is akin to being up north in England, not least in the fact it is bloody cold, but that the people seem warmer, more willing to smile and joke with each other, and us, which is a welcome change to Moscow. 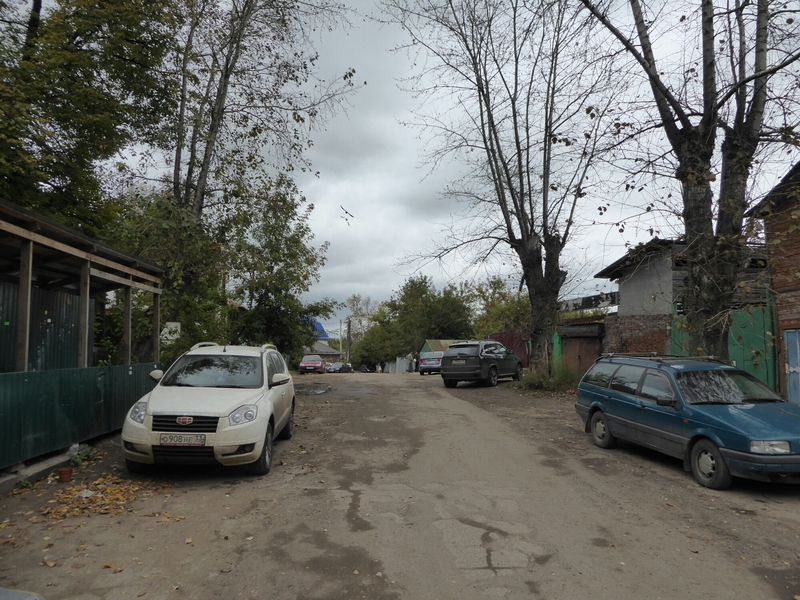 Interestingly enough, a couple of Russians have now said that the real Russia is not Moscow it is outside, in the smaller towns and places far from Moscow, which if true means I really like it! Woke up on a gently rocking train having jumped 2 hours ahead, who knew you could get Train Lag? We are now further east than Iraq. 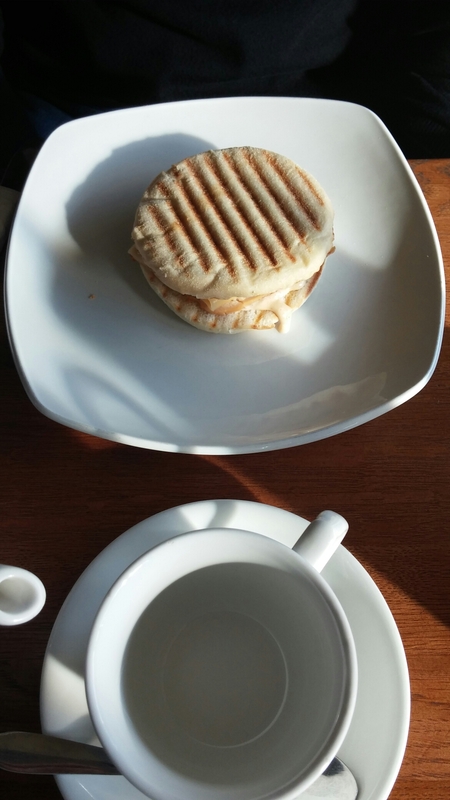 We swilled out the vodka smell from our glass tea cups and replenished with green tea and coffee and had bananas and various bits from the bag of food for breakfast. 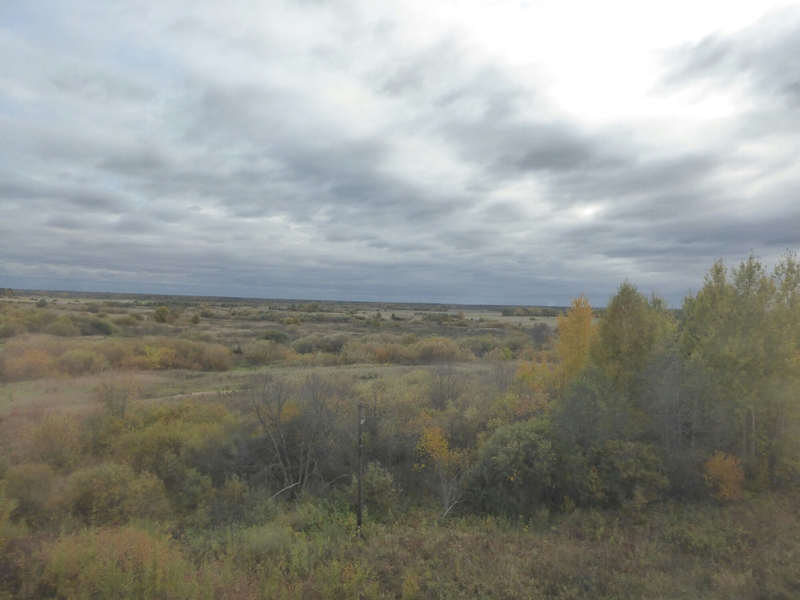 In no time at all we were cleaned (as much as you can in a train toilet) and sitting on our beds watching the stunning scenery pass by with the autumnal colours on the trees and the occasional sight of a small village with Dachas scattered throughout. It is exactly how we imagined it to be, loads of forests not many people, run down sheds / houses once in a while. We were getting close to the, somewhat arbitrary, border of Asia which was marked with an obolisk, on checking the book for exact place it would be then looking up we saw it wizz past the window, great, another sight done! No photo as we were not prepared, apologies! 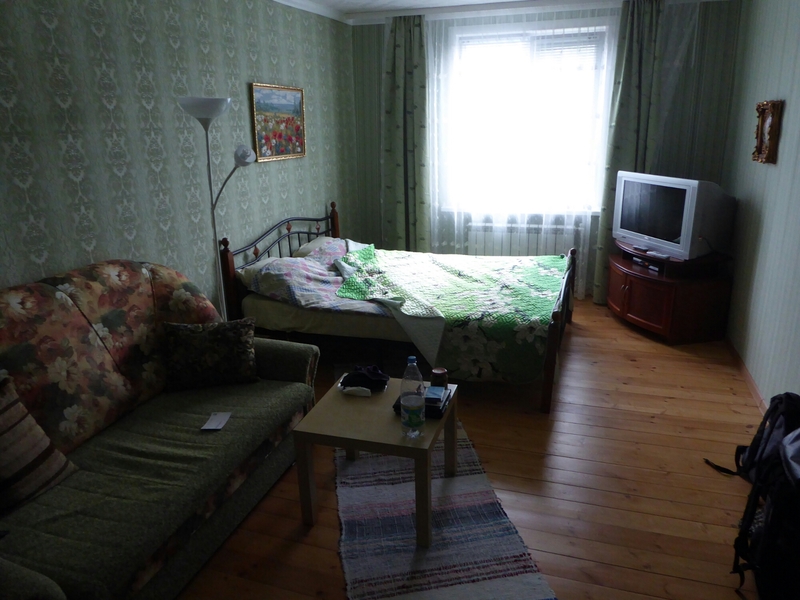 We arrived on time in Yekaterinburg and unloaded ourselves from our cabin. Now to find the metro station which we know there is no single sign for the stations some are red M, some blue, this one was green and found by following people and using Guy’s gut instinct as opposed to GPS which refused to kick in! The style of the stations is same as Moscow, large and art deco which is lovely. Metro journey completed, we were up in the open air at the mercy of a map whoses scale we didn’t altogether trust and GPS which was still refusing to wake up. Despite this Guy got us to our hostel swiftly with no wrong turns and, as we had been warned about the 5 flights of stairs we needed to get up, we put heads down and got on with it, trying not to look like unhealthy western tourists when we finally got to the top. Room is fab and wifi actually works so we got the what’s app messaging done and booked in Skype calls with the family. 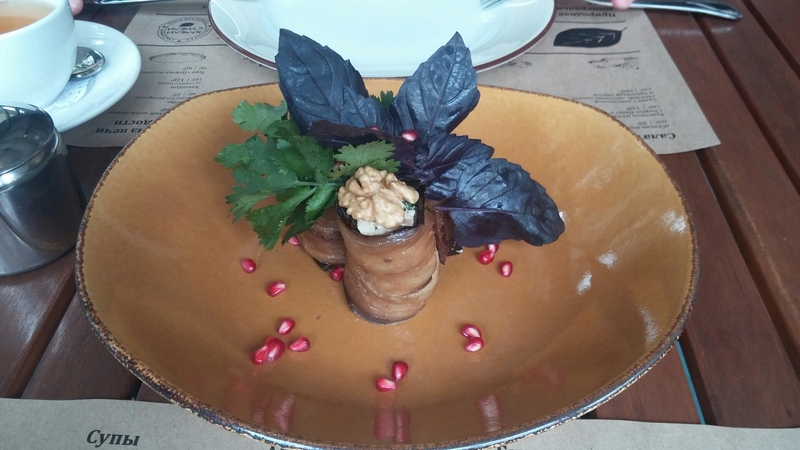 So, we had a new city to explore but first, as usual, we had stomachs to fill and we were craving salads and vegetables, after a looking for a vegan (yes, vegan) restaurant we gave up and went to a fancy cafe which sold western type food with Russian slant. 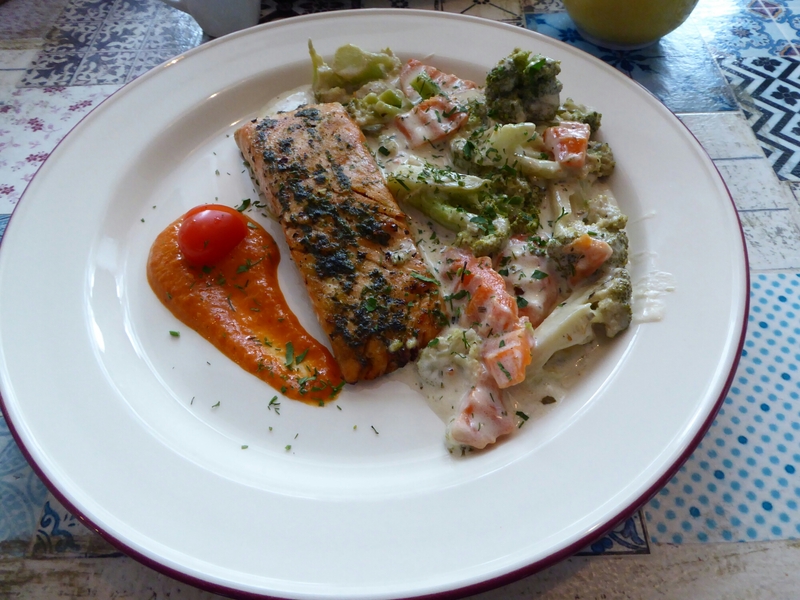 We both had a massive pot of local herb teas (no idea what they were) and salads, and veg, fish and veg. 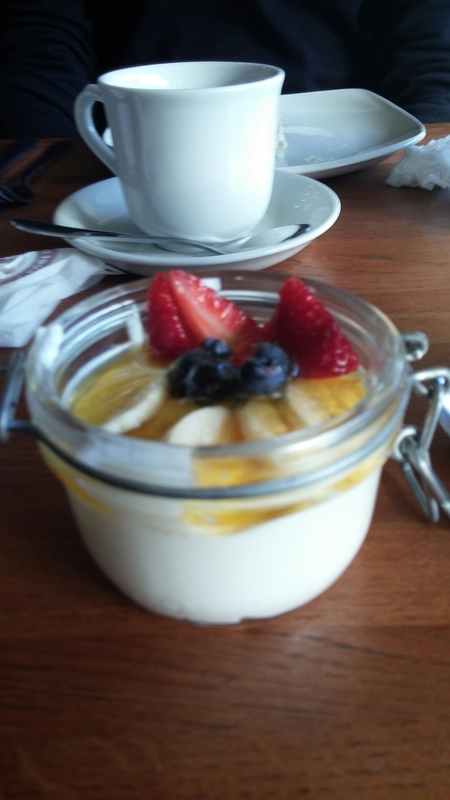 It was delicious although the place seemed to be set up for yummy mummy’s cooing over their new babies with their yummy mummy friends, so we fitted in like a glove! Next, Guy wanted to see a semi precious stones museum, I wasn’t bothered but thought I might miss out if I sulked in a bar, so followed him to an old disused hotel which has clearly closed sometime ago along with the semi precious stone museum. RESULT, another sight done! 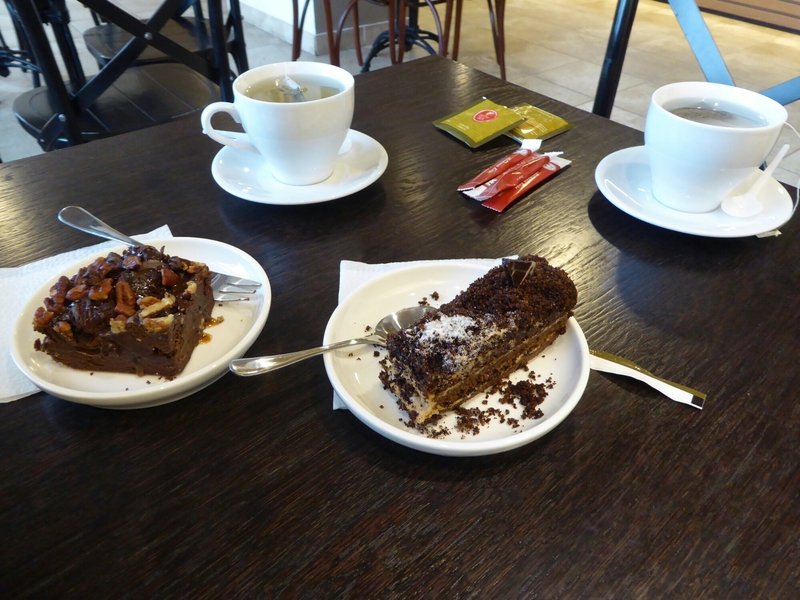 After viewing the City Pond and other statues around the city Guy needed cake and so we stopped for a civilised tea and cake on our way home. 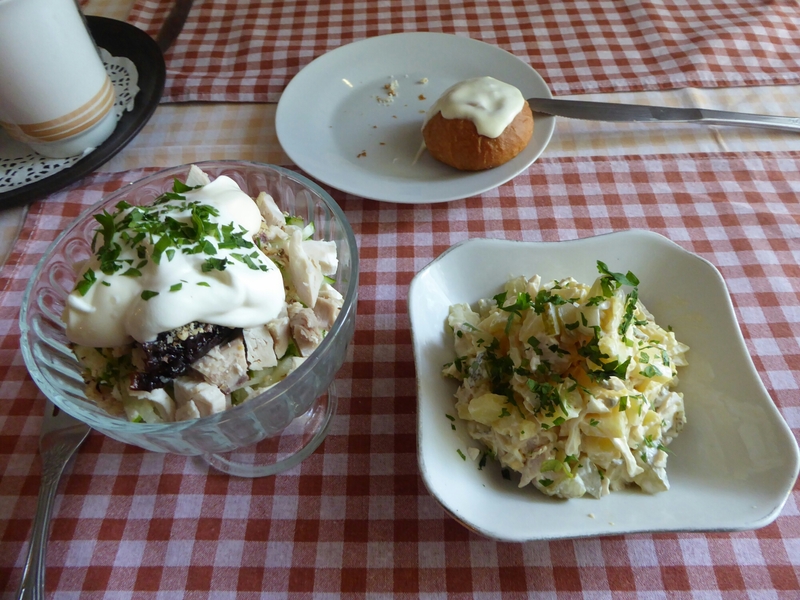 Supermarket tea bought (smoked salmon salad if you must know) we went back to the hostel, up 5 flights of stairs, and did skyping, blogging and watched the rest of the Russian guests in our hostel. 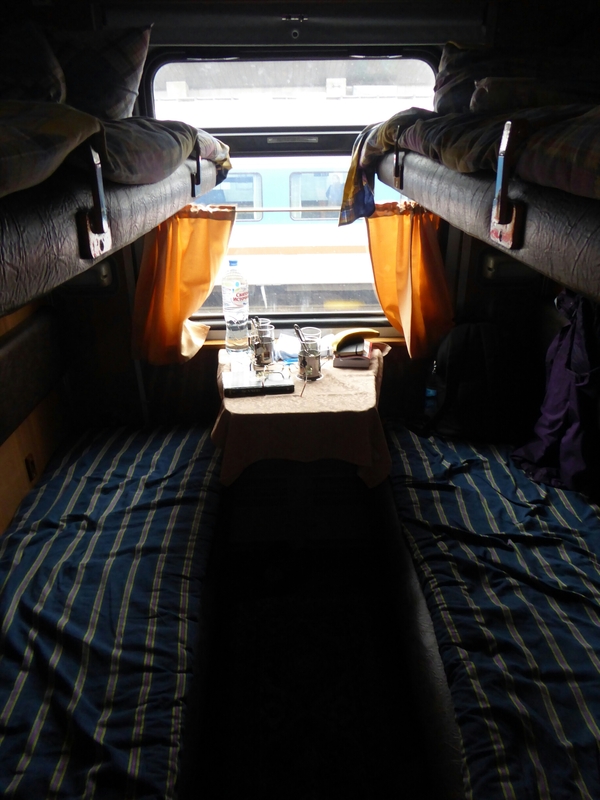 Our carriage already had 2 sleeping occupants in the top two bunks but our bottom two were vacant. Another result. We tried to quietly stow our luggage and lay down. The carriage was really warm and stuffy and with a poor sleep last night I thought I’d drop off quickly but the excitement of finally starting the epic train ride across Russia kept me awake. I stared out of the window watching yellow birches and green pine forests roll past. The Russian lady above me got down from her bunk and the attendant brought her a coffee which filled the cabin with its rich aroma. Eventually the gentle rocking of the coach got the better of my excitement and I dozed off. 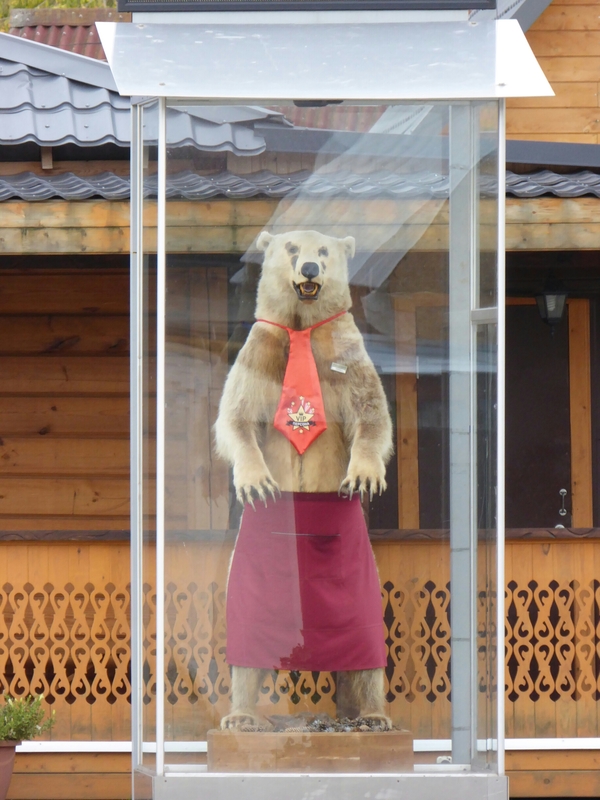 I awoke sometime later and after sitting up our Russian cabin mate entered from the outside corridor and tried to wake her slumbering husband. He looked very content but eventually got up and we invited them to sit on Al’s bunk while myself and Al shared mine facing forward. They spoke good English and explained they were on their way home after a holiday in Turkey and Israel. They were very softly spoken and both had a cheeky glints in their eyes. He was born in the far east of Siberia on the Russian bank of the 2km wide Amur river which has China on its other shore. Minus 45 centigrade in the winter. He wanted the carriage window closed but she wanted some fresh air. We opened it. 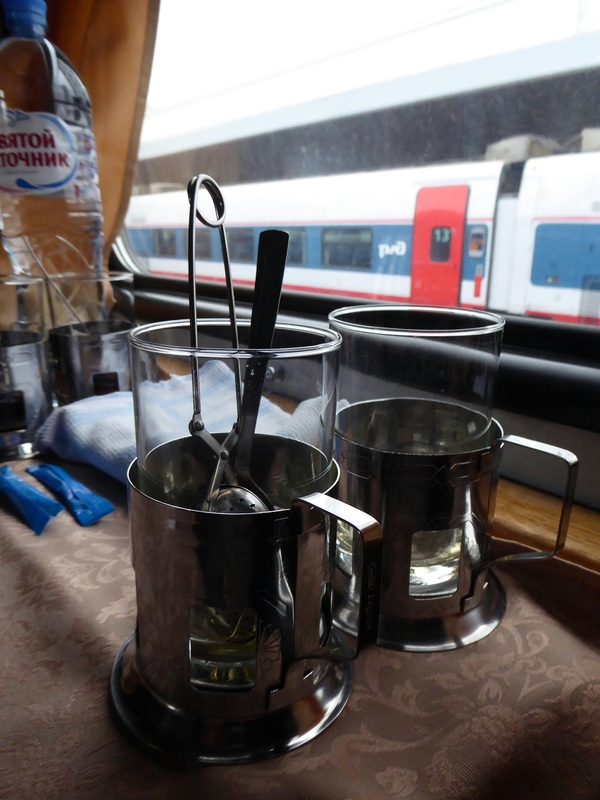 Each carriage has a huge hot water urn called a samovar so we drank tea and ate black bread with ham and chatted and read and feeling the motion of the train, felt very relaxed. Around 6pm they left the train and we said “dosvidaniya” and were left with the compartment to ourselves. No one else boarded. The whole train was fairly empty now and the next large town stop was at 3am so it was unlikely we’d be joined. Fingers crossed. 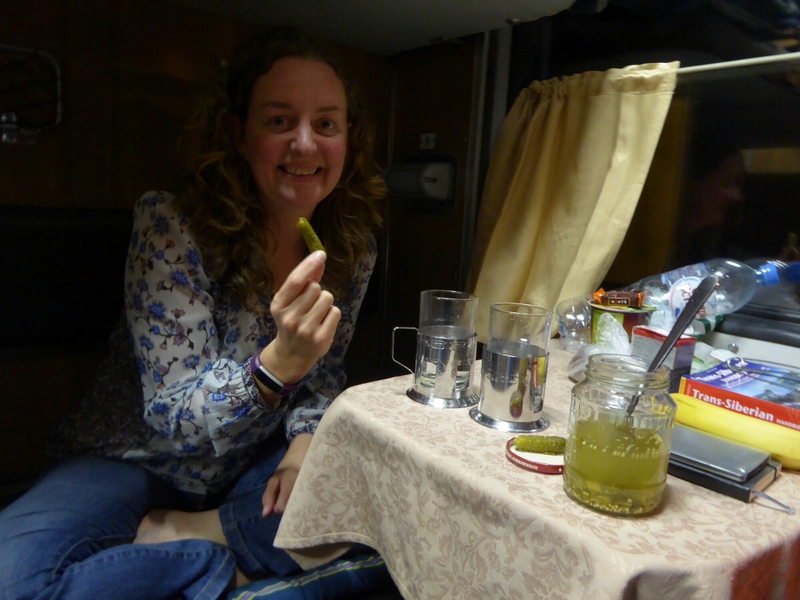 Vodka and pickles came out and we merrily chatted. Tonight we cross the Urals and tomorrow we roll into Asia. Quiet day today we only need to do a 50 min bus journey and it was a return journey so so we knew the route. 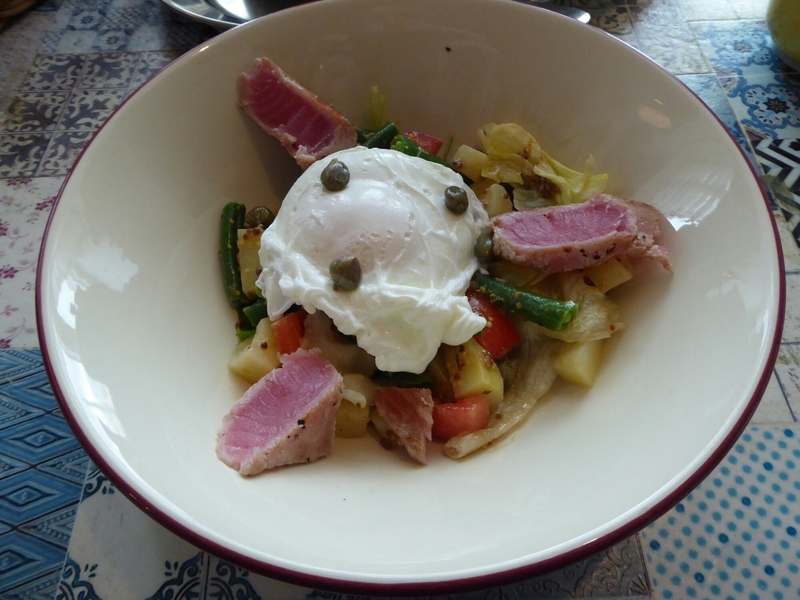 Breakfast was Russian bubble and squeak eg last nights meal fried with the remaining butter in a pack (yes, we had gone all James Martin and used a packet of butter, 200g, in 2 meals). Packed and walking down the road by 10am it started to drizzle. 15 min walk later we were at the bus stop with all the locals waiting for the bus 159 to Vladimir, although the bus we all got on was going to Vladimir all that happened was everyone filed off the bus at Suzdal bus station, queued for a ticket to Vladimir and had to get on the next bus going there. The matriarch in control of the tickets was shouting at everyone in the queue so I braced myself for a torrent of abuse. When she realised I understood none of her words she simply wrote the times of the buses and I pointed at the one we wanted. No seats this time but we could cope with that, it was crowded but bearable, I was right next to a local with a massive bag of mushrooms, hoping they were not poisonous! 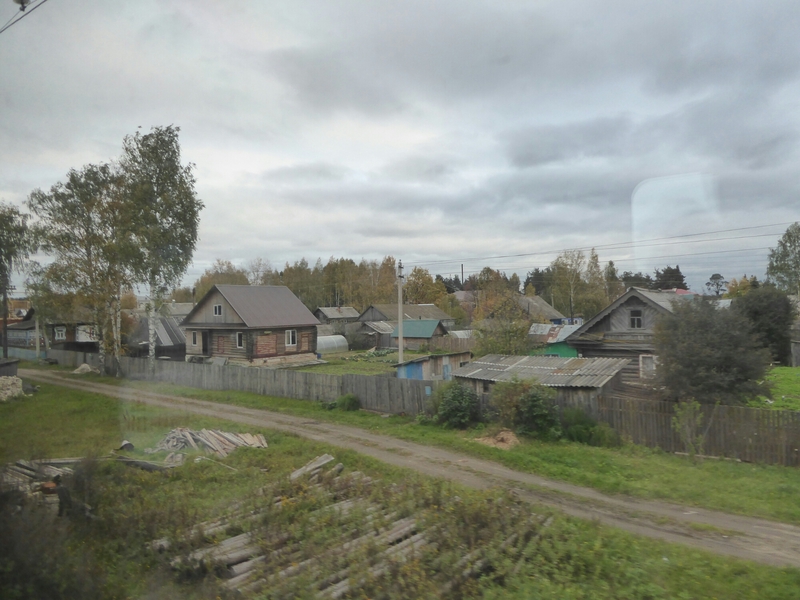 Our hostel in Vladimir was purposely near the train station as we were due to be up and on the Trans Siberian at 7am next day, the area around train stations in Russia is the same as UK, grim. So we couldn’t believe our hostel location, just 5 min walk from station down this road……..
Hostel was fab though, really clean also a double room which contained bunk bed wasn’t what we were expecting it is what we got. 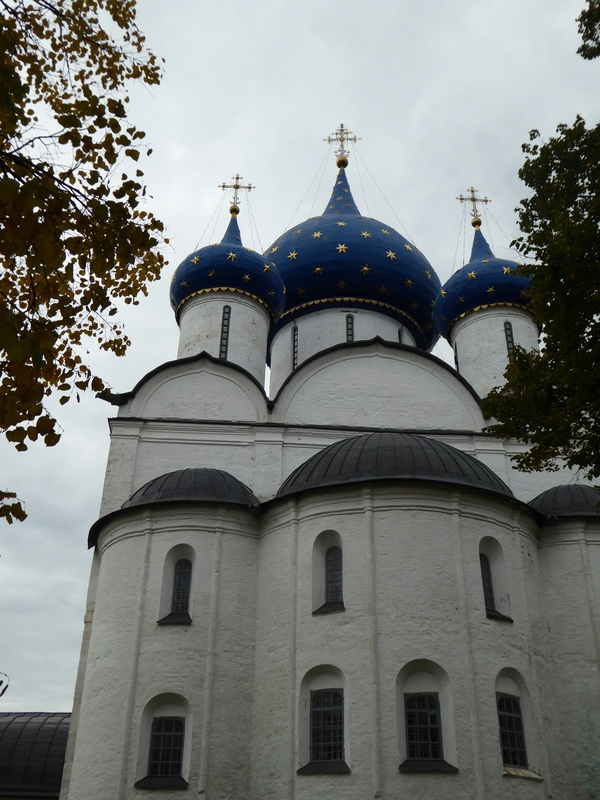 As this is Russia we had churches to see so off we went, into Vladimir city centre to look for them. Initially we were quite disappointed with the church, then realised we had the wrong one! Saw another Rublov masterpiece (in the gloom of the church) decided that was enough and went in search of a Russian canteen or restaurant, that was much harder than it sounds, most places seem to specialise in sushi AND pizzas, which wasn’t what we wanted. 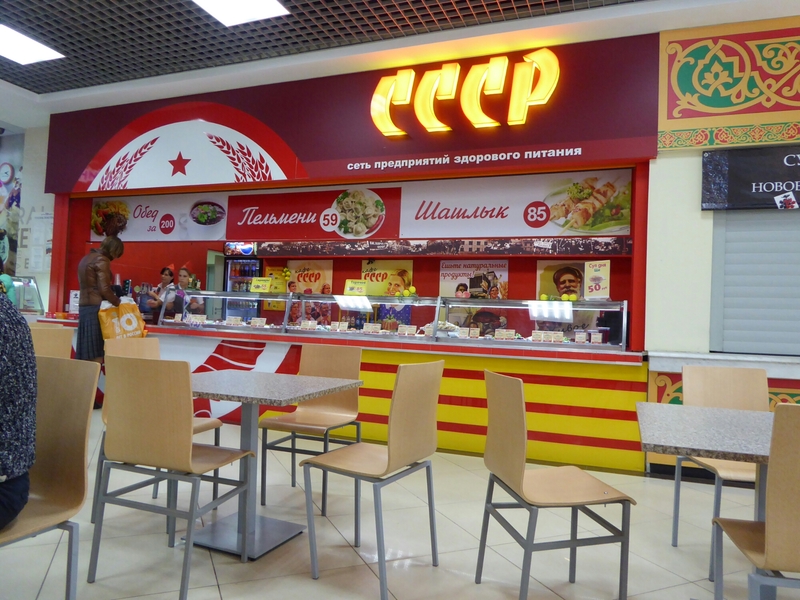 Eventually we found a shopping centre with a teeny food court and had some tepid mash n chickenballs, Guy had chicken in red sauce and veg, also tepid. 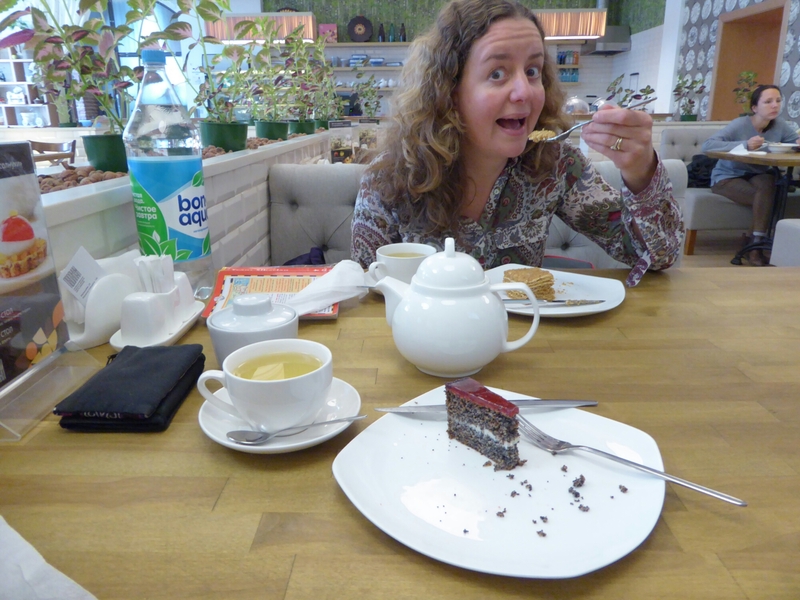 We had seen a great cake shop so went there was a surprisingly good brownie and choc cake with green tea, we know the Russian for tea now, chai (!) just need to learn green. 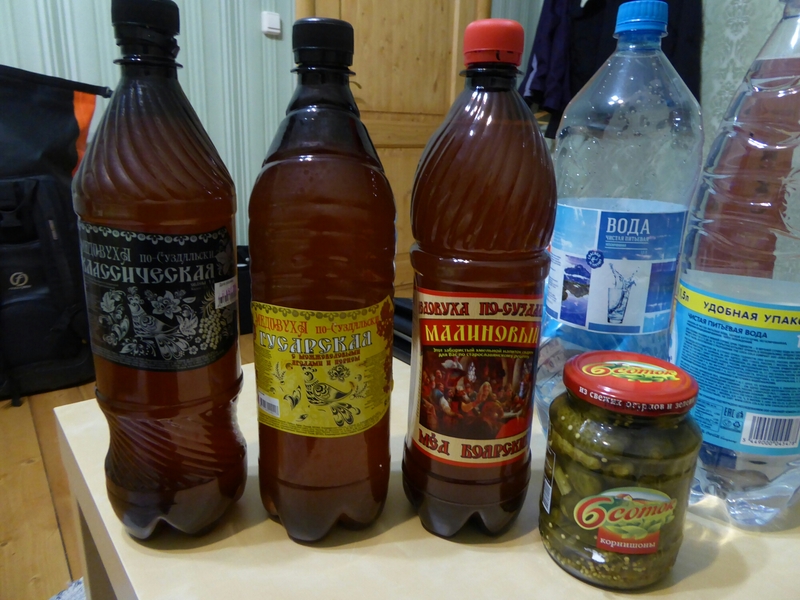 Provisions for the train bought, there is no pot noodle in Russia, only pot mash. 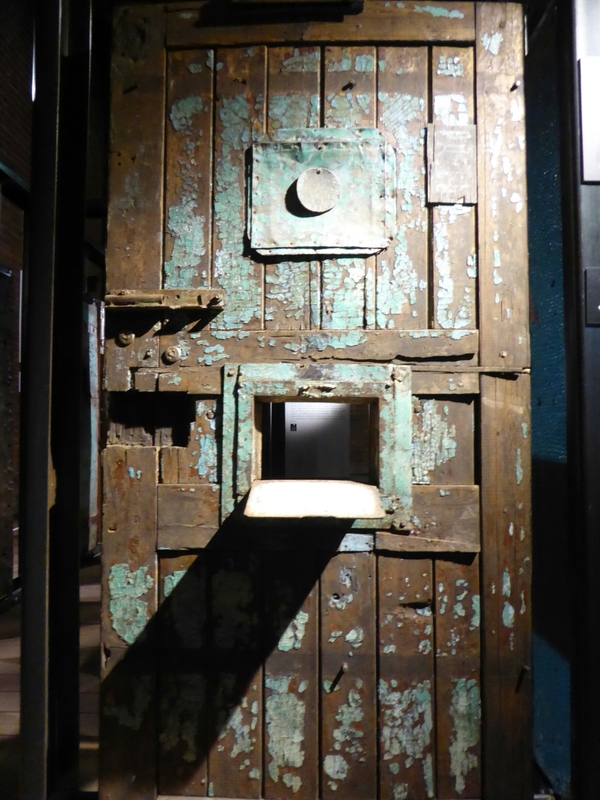 We went back to the hostel and spent the rest of the afternoon and evening trying to upload photos onto the blog (wifi too slow so I gave up) and reading Dostoysky and his experiences in Siberian jail. About 9.30 pm about Russian women came back, from work we assume, and all changed into PJ’s and went to bed. Why anyone needs PJ’s is beyond me as heating is left on full blast all night and it is stuffy and hot in bed. Greatest nights sleep in our luxury (seventies) accommodation. 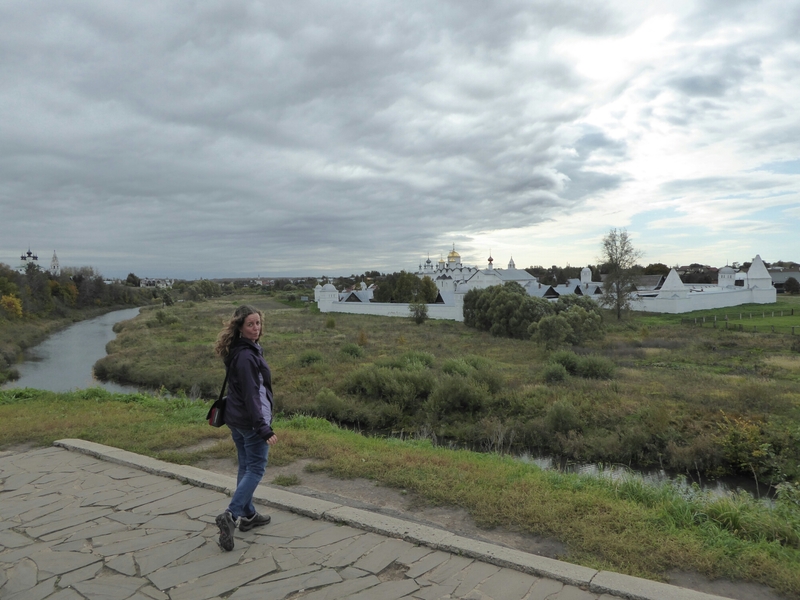 After green tea and a banana we were off to explore Suzdal. First off we had to find the post office and send home some collected souvenirs and items brought along by mistake e.g address book! Like I will be writing to anyone in this day and age! We eventually located the post office but not before going into a couple of more official looking buildings (which as they had no stamps on offer we exited swiftly). There was no queue (mercifully) this time so we walked up to the first counter and started to explain in sign language that we needed to send this pile of useless stuff to Great Britain (the only Russian word we had was Great Britain the rest was sign language and smiles). The woman on reception was more than happy to shout ‘Europa ‘ at us so we swiftly put her right on such political matters and got our post posted (with reference number which we could follow of only we were a wifi zone and could put Cyrillic into our phones). My mum will love receiving it as it has no herbs, spices or anything weird smelling!!! 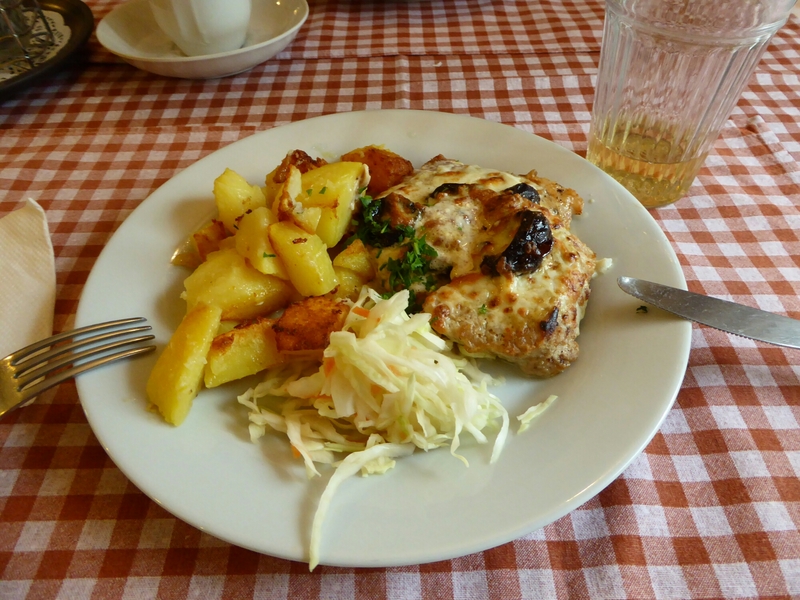 Monday morning chore complete it was 12 noon and we were hungry so off for food we went to yesterday’s restaurant where I had pike, with fried potatoes and very mild saurkraurt, Guy had salad with pea soup. . 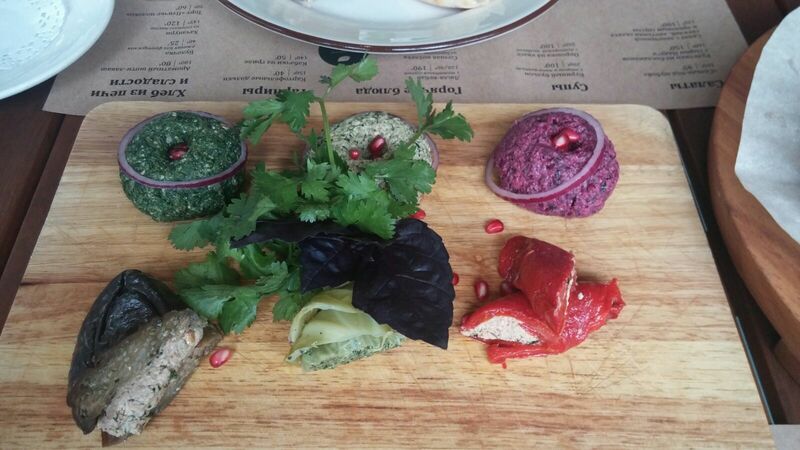 It was simple yet tasty food which was really welcome. 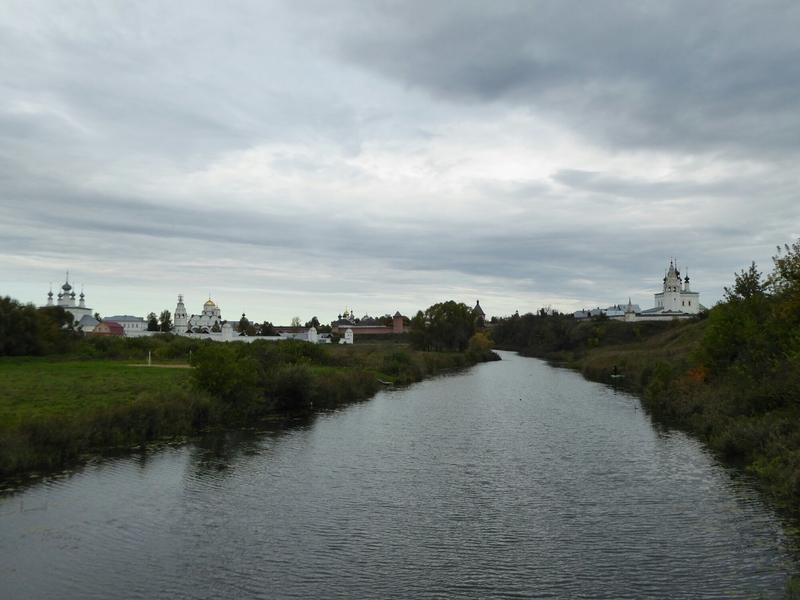 Suzdal is small and compact so we walked for about 15 mins down the street to a beautiful view point, cathedral and museum, we were relieved to see that the museum was closed on Mondays and so we didn’t need to go in and wander around aimlessly. Still we watched the tourists taking photos and the shots below are part of an ongoing (if intermittent) series of ‘Al having photo taken in local style’. More walking around and taking photos of cathedrals and churches, we had a really relaxing day compared to the previous 20 days spent in major cities with loads of stuff to see, it is what we needed. Without Wifi life seems very strange, we have missed birthdays (sorry Si) and were wanting to Skype home but are unable to do so, but it is also strangely empowering , not being a slave to the latest notification on your phone, but when walking down the street and wondering what size a bears nethers are and not being able to google it is quite frustrating (queue photo of bear with nethers hidden hence why we wondered how big they were to be hidden). As our guest house has a kitchen we decided to try and get some food from a supermarket. The name supermarket is synonymous with the nouns super and market, neither of which are relevant to the stores we went to in Suzdal. We visited a couple yesterday, the first of which had more items behind the counter than in front and a very surly lass in charge, we exited quickly. We then found another purveyor of foods and went in, it was a fascinating insight into Russian foods with all kinds of meats (some just left on an open unrefrigerated counter), loads of fish (including smoked which is never seen on restaurant menus, frustratingly) and open topped freezers (with more fish) which gave an overall fragrance of fish and not all of it completely fresh, by this time we were baffled how the locals ate anything other than slightly rancid meat and fish and broken crackers. We went back to the market street with the old ladies selling pickles, veg and herbs from their garden and any other weird stuff they feel the need to put in jars. 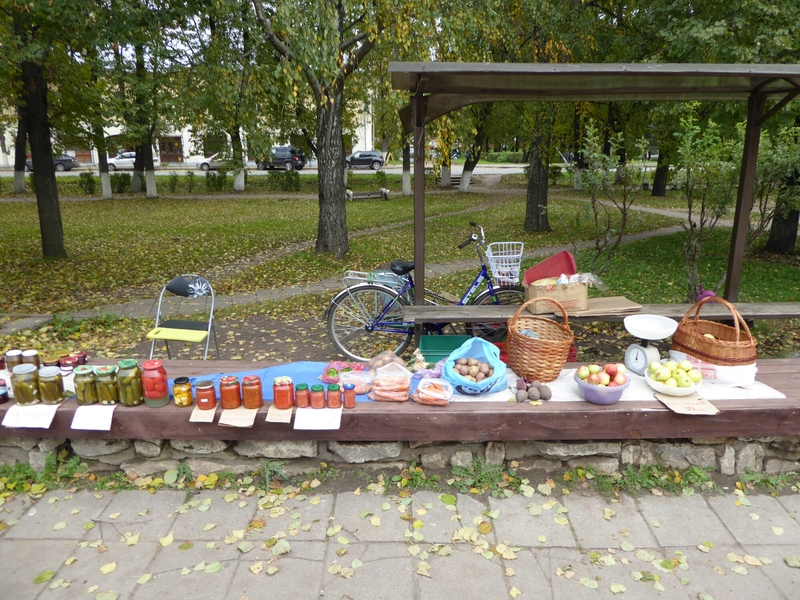 We bought some potatoes at double the price of a local (which at 35p for 1kg potatoes I can live with) then Guy saw she sold wild strawberry and blueberry jam as well, which was 250 Rbls (£2.80) a jar which we probably wouldn’t pay in UK but as she was so ace (in Russia that means she smiled) we were more than happy to pay. 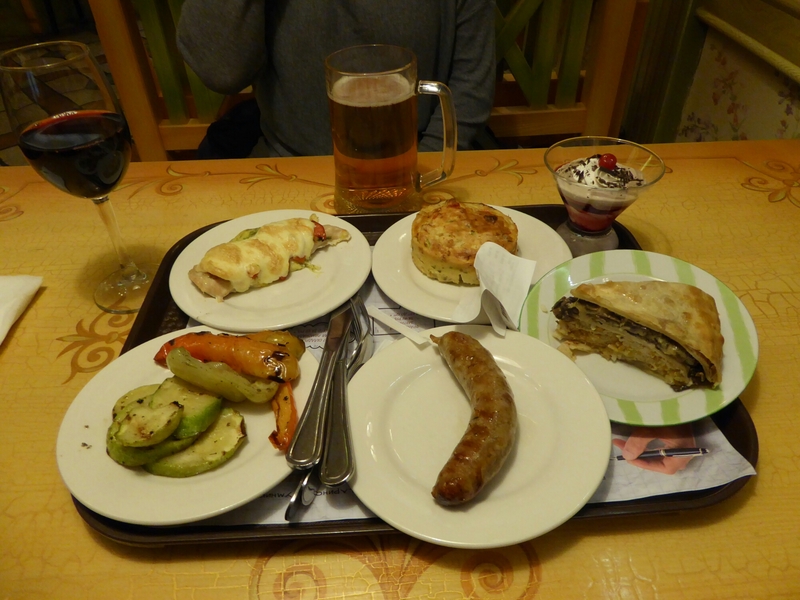 We then spied a proper supermarket, i.e sold veg, broken biscuits, meat, fish (not smelly), dairy products and more (cuddly bears and mini Mars bars) so we stocked up on veg, butter, yogurt, and dirty frankfurters all for tea. Although I have to admit that the service was nothing like Waitrose!!! Back to the hostel and we relaxed and cooked tea, which is the first cooking in 20 days. Result. 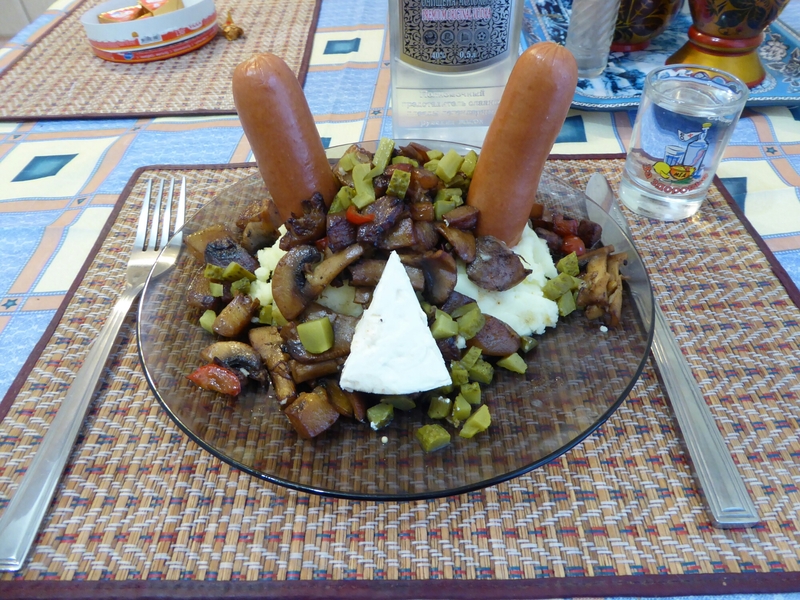 Oh, and we may have accompanied the meal with pickles and vodka, our new favourite past time.